With the advent of the debit card, the use of checks has declined significantly. But checks have been an economic staple for hundreds of years in many developed nations. The history of the checking system is complex, and no one person or culture can be credited with inventing the check. Ancient Romans used banking systems, where written notes, called "attributio," could be drafted against a person's account. Because commerce and bankers were not considered respectable, these banks were not organized or widespread. In the early 12th century, the Knight's Templar began one of the first widespread banking systems. People would drop off their money in one of the Templar's stations, and claim it at another station with a handwritten paper claim draft. These drafts were the precursor to the modern check. What Is an Implied Power for the Currency Power of Congress? What Do the Codes on Personal Checks Mean? How Are Deposited Checks Processed? What Happens When a Bank Account Is Closed Due to Being Overdrawn? In the early 1500s, Dutch merchants would deposit their money with cashiers, and write draft notes authorizing them to pay their debts from the deposits. This was seen as a safe alternative to carrying large sums of money, and eventually spread to other parts of Europe. The British began putting serial numbers on bank draft notes in the 1700s. 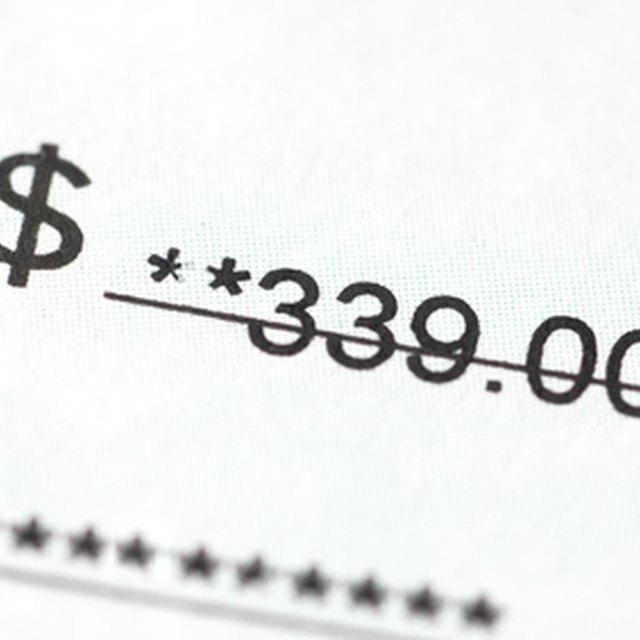 According to infoplease.com, the use of the word "checks" may have originated at this time, because the serial numbers could be used to "check" one's account.